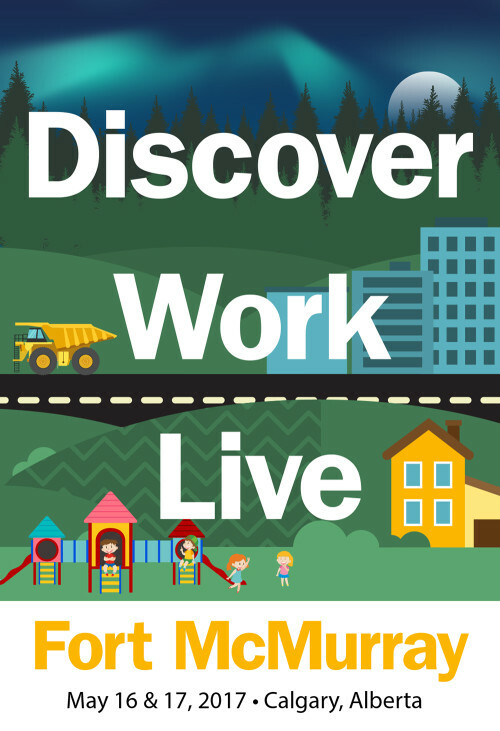 Fort McMurray Tourism, in partnership with a number of other community stakeholders, is bringing a Discover.Work.Live FortMcMurray event to Calgary. This will be a job fair highlighting what it's like to live and work in Fort McMurray. The goal of this event is to attract new residents to the region - residents who will fill some of the gaps in the labour force, but who also will stay in the region to raise their families and make the Wood Buffalo region their home. If your company has been having trouble finding the right employees, this is a great opportunity to expand your employment search. There have been three job fairs in the past 6 months in the region and the feedback from employers has been that we need to expand the search. The job fair takes place Tuesday May 16 from 2:00 p.m. to 9:00 p.m. and Wednesday May 17 from 10:00 a.m. to 5:00 p.m. at Calgary’s MacEwan Conference & Event Centre, 2500 University Drive NW. To register, please use this form. For more information, visit the Discover, Work, Live Fort McMurray page on Facebook.